Together forever - a token of eternal love sent from beyond the grave is a stunning pewter necklace. 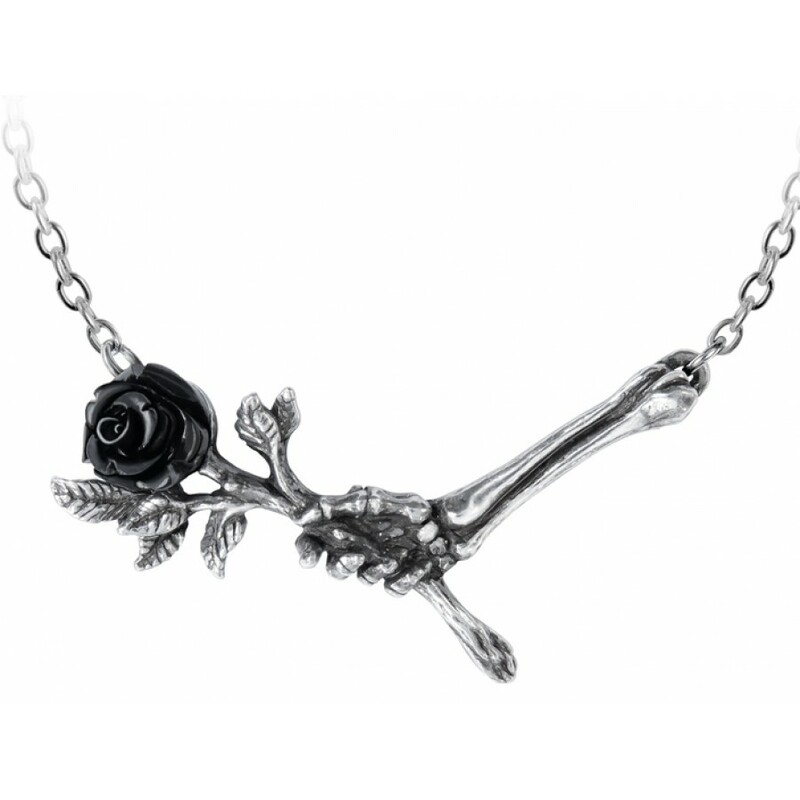 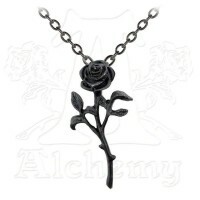 This fine pewter necklace of a skeletal hand offering a single black rose is the ultimate expression of undying love. 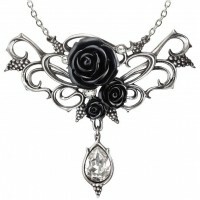 It makes a wonderful gift for Valentine's Day, engagement or wedding gift for your love. 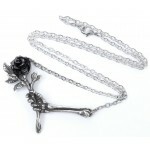 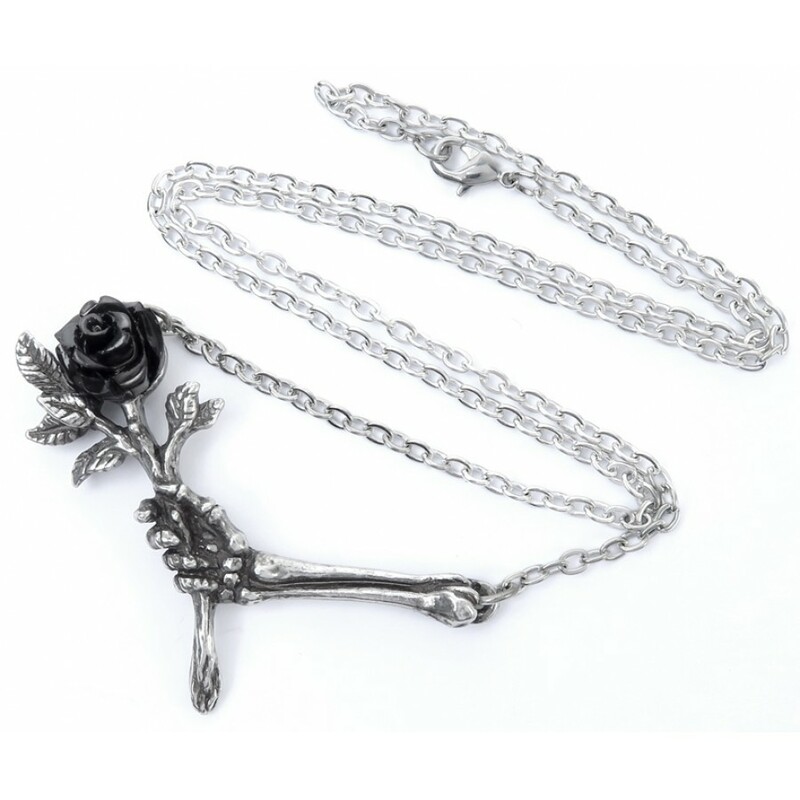 The finely detailed skeleton hand with a black resin rose comes on a split silvertone chain, 20 inches long overall. 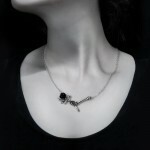 Item Number: AG-P839 | Approximate Size (Inches): 2.20 wide x 0.47 deep x 1.54 high | Approximate Shipping Weight: 0.25 lbs. 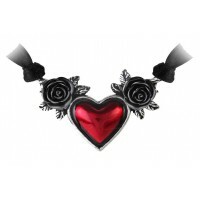 A sumptuous bracelet with a romantic motif hiding, or revealing, a secret libertine passion for wine and sensu.. 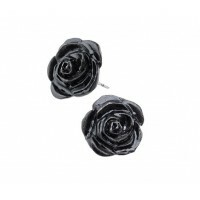 The Black Rose stud earrings by Alchemy Gothic are made from fine English pewter and measure approx 1cm in wid..